The Manaw festival is the celebration of the New Year, victory in battles, reunion of the Kachin tribes etc. Place: Across Kayin State, in Yangon and at townships where Kayin are the majority. Place: In the Naga Hills, on the border with India and Myanmar. The festival rotates between three major townships in the Naga Hills. The festival is meant to celebrate the successful completion of the harvest, with participants sharing their experiences from the previous year and planning for the next one. Participants wish for good health, wealth, happiness, good climate and good crops for the coming year. A typical Buddhist pagoda festival which takes place one week preceding the full moon of Pyatho to full moon day (January). The villagers from around Bagan come to the festival with bullock carts, horse carts and camp there as long as the festival goes on. Many visitors are attracted to this yearly event. 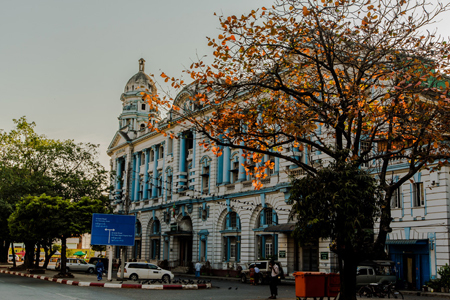 Place: Across Shan State, in Yangon and among Shan ethnics who stay on Thailand’s northwestern border. The holiday commemorates the unification of several Shan principalities into a single Shan State on February 7, 1947. To commemorate the National Day, to preserve and maintain Chin culture, language, literature and identity among the family of nations. The best time to visit this place is to get there before dawn of the full moon day of Tabaung where the Pa-O people in all their finery come with gaily decorated trays bearing morning food offerings. 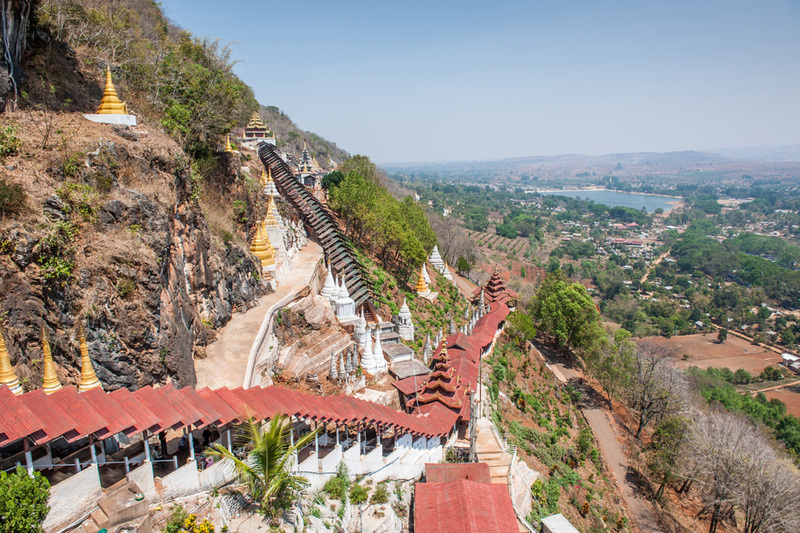 Pindaya Shwe Oo Min cave Pagoda festival is held on and around full moon day of Tabaung, starting seven days before the full moon day. During the festival time, thousands of devotees come from villages around Pindaya. This is a significant Festival of Shwedagon Pagoda because it was on the Full Moon Day of Tabaung that King Okkalapa and the two brothers enshrined the sacred hair relics of Buddha in the Shwedagon. On the days of festival, the stairways and platform of Shwedagon are thronged by endless streams of devotees from dawn till midnight. A Myanmar New Year Festival where water is thrown on everyone. It is believed that water symbolizes the washing away of the previous year's bad luck and sins. On New Year's Day, 17th of April, people celebrate by freeing captive fish, birds and cows as acts of merit, by cleaning the floors of the pagodas and monasteries, and paying obeisance to parents, aged peoples and teachers. 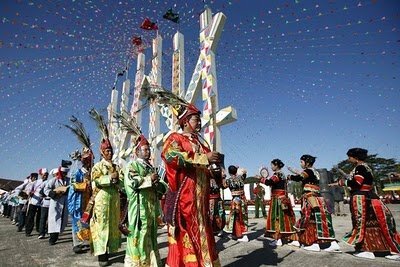 Unique festival of Gon Shan ethnics. On the Second day of the eve of the New Year the auspicious drum is taken from its place. Then a representative of the Zar people who by traditions is allowed to wear the clothes of Sankarm (Sakra) will follow on a horse behind the drum. The people lining the procession route will sprinkle scented water on the procession for good luck. Place: All over the country at all prominent pagodas and monasteries. As the month of Kason is at the middle of the hot reason, the earth is dry and people pour water at the Maha-Bodhi (Bo tree) where Buddha is said to have attained enlightenment, to make sure it does not die of drought during the hot summer. This has become an integral part of Myanmar culture and on every full-moon day of Kason, the Buddhist people would march in a grand procession to the Maha-Bodhi tree to pour scented water. 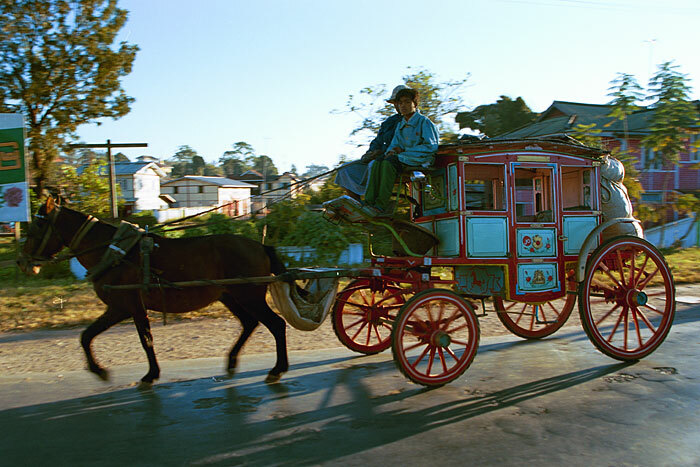 A typical Buddhist festival in upper Myanmar with traditional plays, nat pwes and puppet shows. Local specialties such as thanakha logs, jaggery, a-nyar longyis (sarong), cotton fabric and wool blankets are sold in the festival. Chin Lone (Cane Ball) tournament held in Mandalay. Cane ball players from all over the country participate to this festival. One can enjoy several ways of playing Chin Lone and competition by either team or individuals together with traditional orchestra (Saing Waing) that provides musical accompaniment to the games and entertaining the audience. Start of the Buddhist Lent. The festival commemorates the time when the Buddha gave his first sermon to the five monks. Donation ceremonies of new robes and other temporal requirements to the monks all over the country at major pagodas, monasteries and even at homes. This is the most famous and impressive Nat or Spirits Festival in Myanmar. Hundreds of mediums and thousands of pilgrims come once a year to Taung Byone. Known as “Mother of Taungbyone” festival. Most enjoyable because of the rowing boat trip to the site. The festival is held annually in honor of Popa Medaw, Mewanna (mother of the two spirit brothers) who when coming back from Taungbyone Festival, on her way back to Mt. Popa, halted at the Yadanagu as her transit- camp. During the festival, the Myinkaba Villagers march in parade with representation of the Jataka tales of the lives of Buddha. Most of the young villagers would take part in the roles of the king, queens and other characters. The festival is for two days. The festival is the biggest and most important occasion in the Shan State. Four Buddha Images are taken around the lake on a gilded barge pulled by hundreds of the unique “leg-rowers” in long canoes in front. Throughout the festival rowing competitions are held, which makes for a wonderfully visual spectacle. It is a dance that requires precise rhythm and timing in order for the elephant dancers to maintain unity inside the elephant figure. People from far and near come to visit Kyaukse and watch the elephant dance. The hot-air balloons are made up of hand-made paper beautifully designed with colorful fireworks and firecrackers. It is an ancient tradition. Traditionally this balloon raising ceremony is to pay homage to Sulamuni Pagoda in heaven by sending up lighted hot air balloons. All houses are lighted up to pay homage to Lord Buddha who comes down to the abode of humans after sending Buddhist Lent in Heaven. Holy robes are woven during the night of full moon day eve to offer to the Buddha images before dawn and many weaving competitions are held at major pagodas. When: The date is fixed according to the Akha calendar.